This Saturday, when you come along to Hand in Hand – our 30th anniversary festival, you won’t just be watching us Pinkies! We’ll be joined by a whole host of other LGBT choirs from around the country. Buy your ticket now! Another local choir joining us on Saturday is the fabulous Diversity! 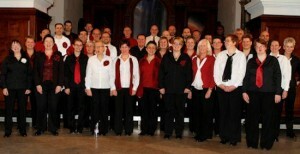 Diversity is London’s LGBT community chamber choir. The choir was formed in 1992 with the aim to sing classical music, along with the best choral music from a diverse mix of other genres. They have developed and grown over the years from a small group of friends to being 50-strong with recent performances at venues such as the Southbank Centre and St Martin-in-the-Fields. 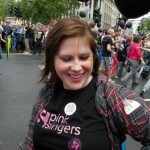 Beyond their concerts, they are also actively engaged, along with London’s other LGBT singing groups, in a wide variety of community festivals, events and projects. Building on their successes, performances have included a very diverse repertoire, ranging from the middle ages to the contemporary, from Mozart to ABBA and back again. They usually perform two of our own hosted concerts each year, a Summer and Winter concert. These concerts are performed in churches such as St Botolph Aldgate, St Paul’s Covent Garden, and St James’s Piccadilly. They also perform regular concerts abroad, including recent trips to Berlin, Munich and a planned trip to Dublin for the Various Voices festival in 2014. They celebrate their 21st anniversary this year with a number of their favourite songs at St James’ Church, 32 Duke St SW1, on Saturday 20th July – tickets available online. Next Next post: Hand in Hand: guest choirs uniting to perform en masse!